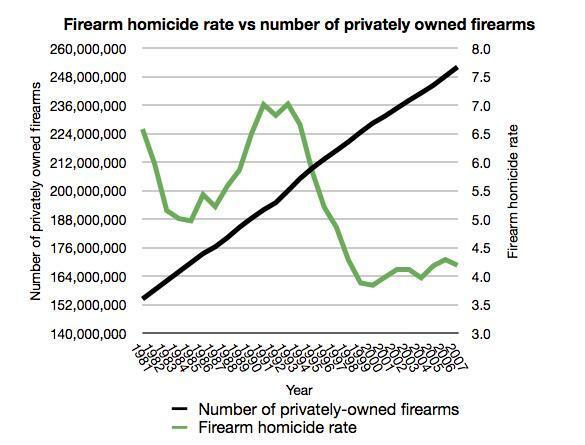 The much disputed issue of firearm ownership and gun-related deaths is still current today, especially after gruesome incidents such as the 2012 Aurora shooting or numerous other school shootings. One can’t argue with statistics, but the issue is whether these statistics attest to an undisputable truth. Under the Second Amendment, it’s the right of each American citizen to bear arms (though each state regulates the lawful acquisition of firearms). Gun violence stems first and foremost from gang activity and illegal gun acquisition. That’s why the NRA ILA (or The Institute for Legislative Action) lobbies for preserving the right of any law-abiding individual to purchase, possess, and use firearms in accordance with the provisions of the Second Amendment to our Constitution. Since 1978, the number of ILA supporters has more than tripled. The ILA works towards enacting laws that recognize the rights of honest US citizens of carrying firearms, as well as educating the public as to the facts concerning firearm use. Of course, the NRA (and, subsequently, the ILA) have received widespread criticism from newspapers, gun control groups, gun rights advocacy groups, editorial boards, politicians, political commentators, Democrats, Republicans, conservatives and liberals alike. The public is bombarded daily with countless articles and opinions that advocate for a firearm ownership reduction, but the question is whether such drastic measures will suffice in bringing down the alarming numbers of gun-related deaths. Just recently, the NRA received a lot of negative attention when the Brady Campaign criticized Governor Mike Pence for choosing to enlist the NRA’s trainers and training program. The Indiana Governor had hoped to increase security after the attacks in Tennessee. But despite the Brady Campaign’s accusations, the facts remain: the NRA is an organization founded on the principles of marksmanship. The NRA also takes pride in teaching firearm competency and safety to those willing to learn. They do so by employing the help of well over 120,000 certified instructors. More importantly, law enforcement instructors also undergo NRA training programs. Thus far, over 65,000 have done so. Of course, there’s also the unfounded accusation towards NRA supporters that believing in the Second Amendment makes you an extremist. Curiously, though, the more politicians and gun control groups accuse NRA supporters, the more support the NRA receives. 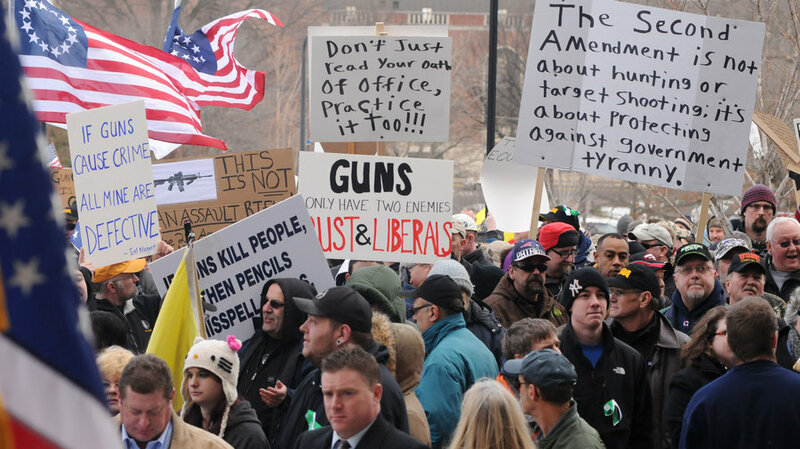 A recent poll conducted by CNN showed that 59% of Americans are against federal gun restrictions. Other polls revealed that a great number of Americans (68 %) would feel safe if they lived in a neighborhood with guns. So it seems that the majority of Americans must be extremists—if they believe that gun ownership is a valuable tool to defend oneself against crime. “The last time I checked, the second amendment is part of the constitution. You don’t get to pick and choose which part of [it] you support,” he said during the NRA’s Nashville Annual Meetings and Exhibits. Luckily, there are also those who would speak highly about the NRA’s and the ILA’s achievements. During the NRA’s Annual Meetings and Exhibits (held in Nashville, Tennessee), Louisiana Governor Bobby Jindal described the National Rifle Association as “the most effective civil rights organization”. The NRA and the ILA are fighting on a massive front despite the fact that they have the support of over 5 million Americans. As expected, Democrat presidential hopefuls addressed gun rights issues during their first debate (scheduled to take place on October 13th). Surely enough, they insisted that there is a need to pass comprehensive gun safety regulation, however, some erred when it came to numbers. Hillary Clinton, for instance, claimed that 90 lives are lost daily to gun violence. That figure would have been correct in 2013, but the number also included accidents and suicides, making her statement somewhat misleading. Bernie Sanders, on the other hand, has long been accused of protecting gun manufacturers from legal action. He insisted that this is not the case. Even so, hours before the debate, The Institute for Legislative Action insisted on addressing other common myths. For one, the idea that 40% of all gun sales don’t follow a thorough background check. They quoted an NRA news article detailing the issue of gun acquisition, most importantly, unlawful gun acquisition. Background checks have been in the spotlight for some time. For instance, Sen. Chuck Schumer (D.-NY) has recently received a lot of attention after his cousin twice removed insisted that money is the essential problem when it comes to our country’s gun control problem. Granted, that statement isn’t that far from the truth, however, no one can prove (or disprove) the fact that money is flowing from gun ban supporters. The issue, though still debated today, remains as clear as Florida Governor Jeb Bush so eloquently described it over 10 years ago. In 2005, when the “stand your ground” legislation was signed into law, Governor Bush insisted that a citizen should never be put in the position to choose between spending his life in jail and being attacked. “The only thing you should be worried about is keeping yourself and your loved ones safe,” he added. At least on that, we can all agree.